Say what you want about Kim Kardashian, but she knows how to take full advantage of celebrity star power. Kim K’s new mobile app is a great example of using celebrity star power to its full potential. Developed by Glu Mobile, Kim Kardashian: Hollywood is one of the top downloaded games in both the Google Play Store and iTunes App Store. Although the app is free to download, users can purchase items in-game and spend as much as $99.99 in real dollars. 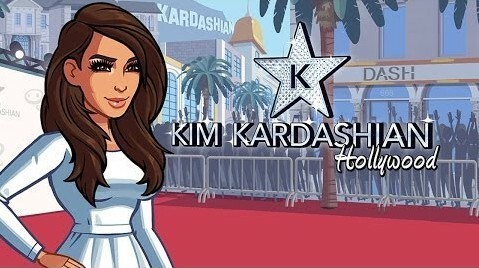 The most surprising part of the Kim Kardashian app, however, is the flood of 5 star reviews praising the game. The game has attracted nearly 80,000 reviews at the time of writing (double the number of 5 star reviews from 24 hour sago). All of this praise has resulted in skyrocketing stock prices for Glu Mobile. Bloomberg is estimating that the game will earn approximately $200 million in revenue. I don’t know about that “one-of-a-kind” talent part, but she certainly knows how to squeeze cash from her fans. In-app purchases include paying $99.99 for 175,000 virtual dollars of in-game currency. Players can use that money to buy necklaces and receive energy shots to pump them up for the celebrity lifestyle. Traveling is also an important part of the game, and you can pay $4.00 to travel to Hollywood. Along the way, players are tasked with dressing Kim Kardashian (although the actual dressing process occurs off-screen – sorry guys). You can also become your own celebrity and create your own star power using Kim Kardashian’s personal fashion picks. Part of the celebrity lifestyle includes “taking over LA”, “dating and dumping celebs”, and “ruling the red market”. You can choose to be an A-list movie actor, fashion designer, cover model, or more. You can download the new Kim Kardashian: Hollywood app from here. If you listen to the reviews, it’s the best app ever made in the history of the world.